The organic water of the king coconut is a real rarity. 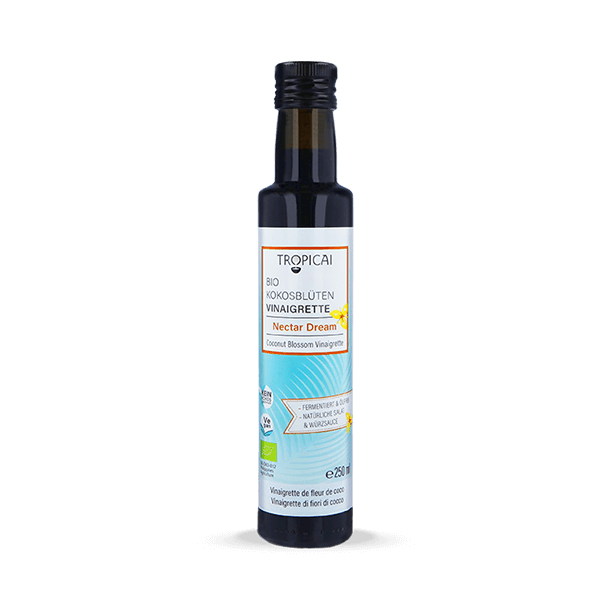 To date it is harvested by peasant farmers and processed in traditional craftsmanship. This coconut water is especially aromatic and its reputation as being refreshing and isotonic is known across the seas. 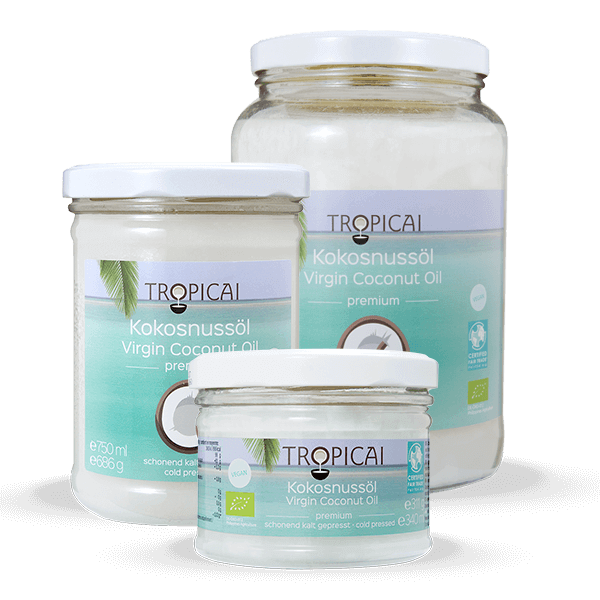 The Tropicai organic Coconut Water is extracted from the King Coconut the botanic name of which is Cocos Nucifera var. aurantiaca. The outer hull, the exocarp, is orange in color which is why the people of Sri Lanca, where this coconut originates from, call it “thambili”, which means orange. The King Coconut is smaller and more oval-shaped than the young, green coconuts found in other parts of Asia and that are known as drink-coconut. 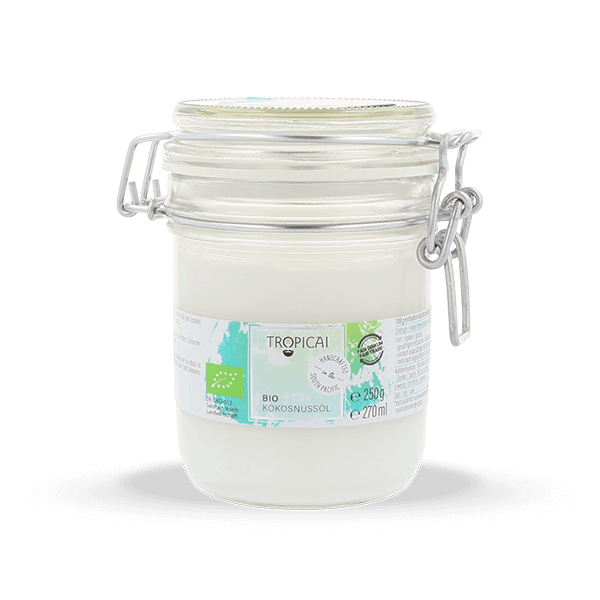 Tropicai King Coconut Water is manufactured with great manual skill. It contains no additives or preservatives and is free of any sweeteners. 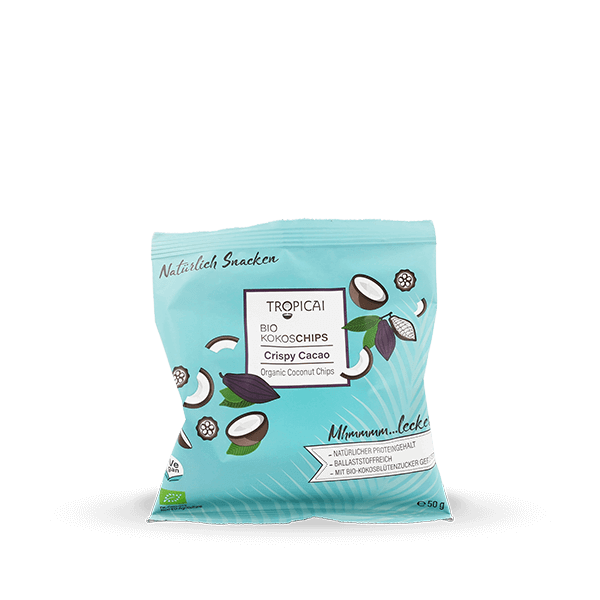 Although the king coconut provides very little pulp, it is full of exceedingly aromatic and a naturally isotonic coconut water. Chilled as a refreshing drink, as such the perfect refreshment. If you want to add more color to your summer drinks, then put some raspberries and lemon grass in the drinking glass. Our King Coconut Water is excellent for preparing chia pudding. Just mix the chai seeds with the adequate amount of King Coconut Water, place in the refrigerator overnight to soak. For a sophisticated dessert make a jelly out of this coconut water together with agar and white wine or freeze it with fruit as a sorbet. Smoothie lovers take note! King Coconut Water will add lots of minerals to your creations. Try it out with as hot lemon: heat the coconut water, add some freshly squeezed lemon juice and here comes your power drink! 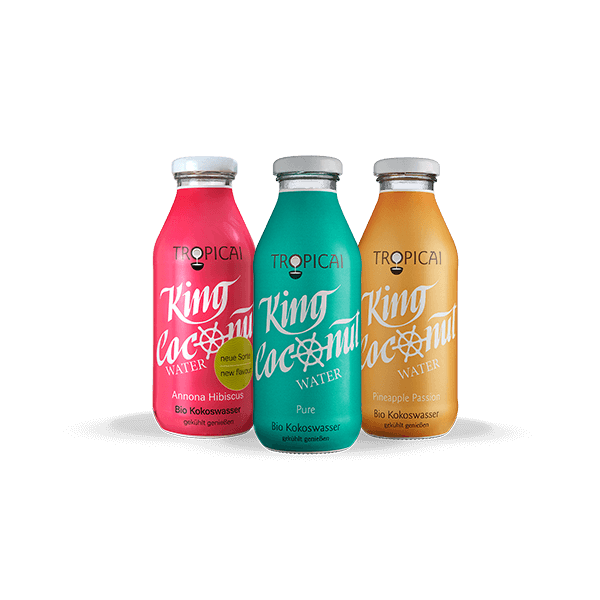 100% organic coconut water from the King Coocnut(Cocos nucifera var. aurantiaca). It is expressly understood that the above guarantee shall not apply to defects arising from opened or damaged containers. Store in odour-free and cool (ca 5-15°C) areas, out of sunlight. The unopened product is stable up to the associated best before date if stored as described and if the vacuum seal remains intact. The product should not be exposed to fluctuations of temperature. After opening, empty the bottle soon or seal the packaging airtight and store it (for a short time) as described.